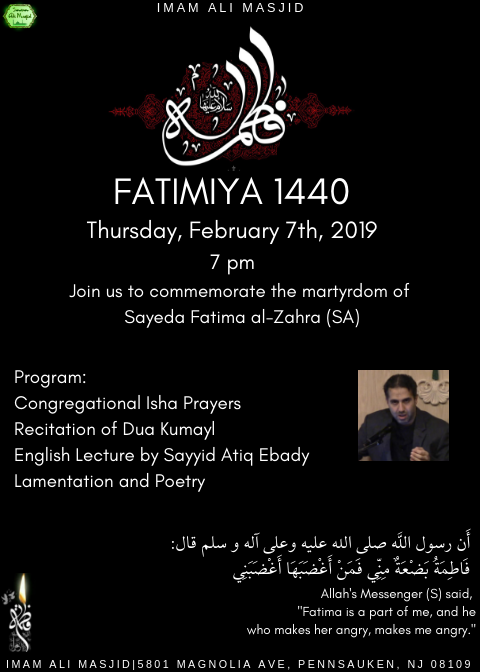 Join us to commemorate the martyrdom of Sayeda Fatima al Zahra on Thursday, February 7th, at 7 pm. 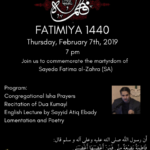 The program will begin with congregational Isha prayers, recitation of Dua Kumayl, English lecture by Sayyid Atiq Ebady, and poetry and lamentation. View the attached flyer for more information. Last Day of 2018-2019 Sunday School! Created by AM Canada Inc.